DD Tarp 3x3 mtr. - MULTICAM Completely waterproof, even in the heaviest storms. 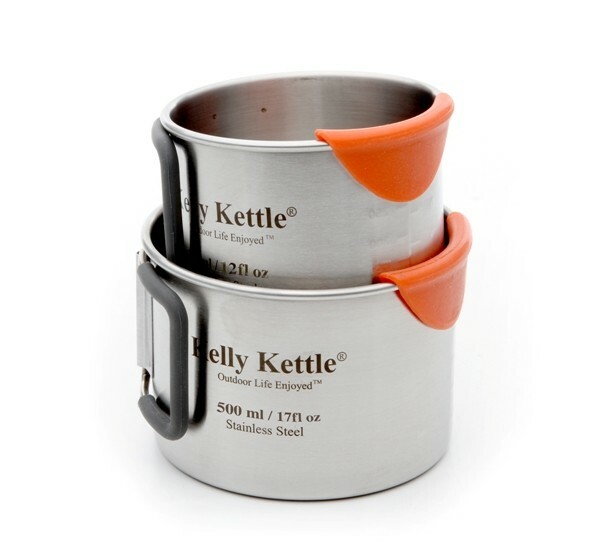 Compact: Cups have folding handles & pack inside each other. Versatile: Drink, Eat or Cook in these cups! Packing with the larger 'Base Camp' & medium 'Scout' Models. : Small cup packs inside large cup - and both pack inside the large Cook Pot, which packs inside the large Hobo & fire base of both models. 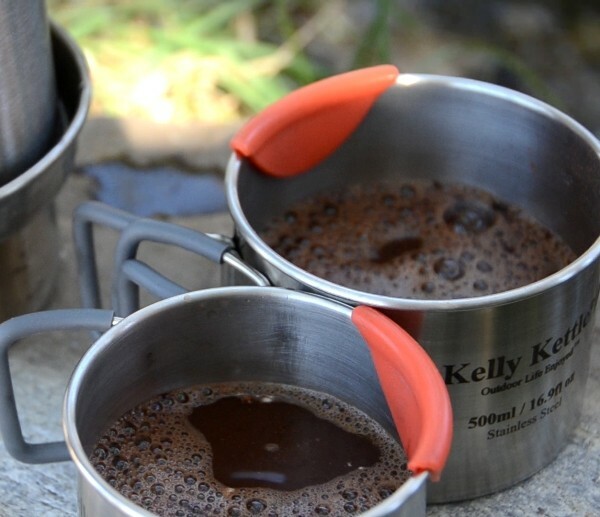 Pack the smaller 350ml Cup inside the Trekker Cook set, inside the Hobo, inside the fire base (exclude the larger 500ml cup or carry it separately - perhaps over the kettle chimney of the kettle). 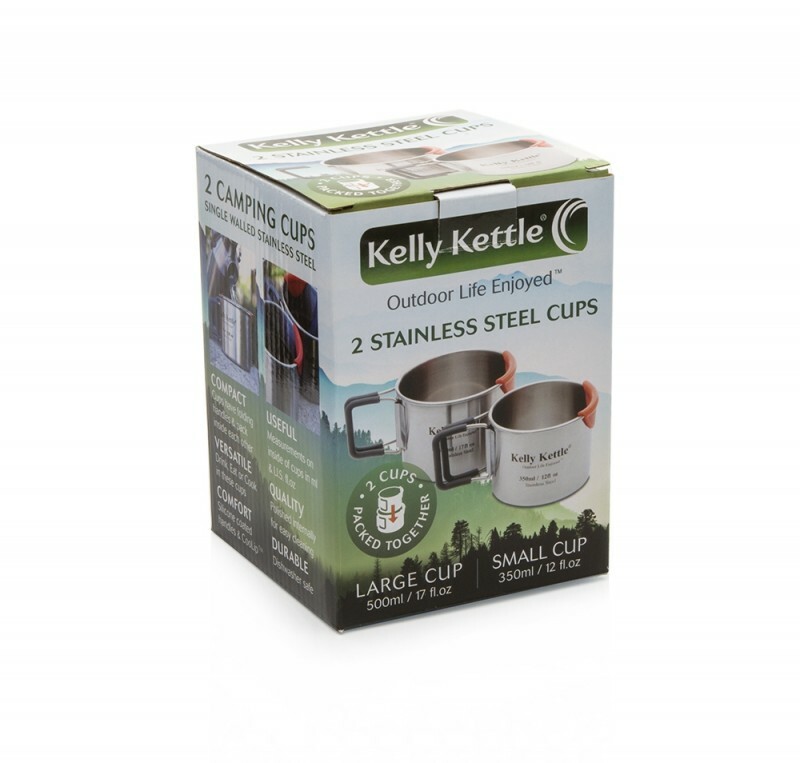 These cups are suitable for Camping, Fishing, Hunting, Scouting, Working outdoors, Picnics, etc. I got these delivered last week and only managed to use them today. At first i thought the orange lip protectors were a gimmick but proved to be very useful indeed a well thought out design. The mugs were used to measure out ingredients for the paella I was cooking with the new Hobo stove. everyone needs some of these.Review by the b.f.g. 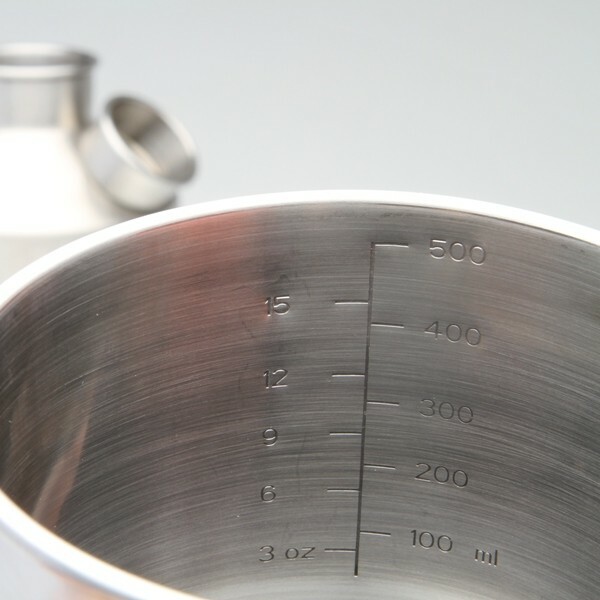 Obviously designed by someone who has used many similar products / mostly coming with flasks, the main difference between these and the rest is that once you have them, you will always have them. We have all bought the expensive flasks that come with generally one cup. The flask gets broken so you buy a replacement so now you have two cups. Guaranteed, if you can find your flask, if it is not broken, it stinks as it was not completely cleaned out the last time you used it. We have all burned our mouths with scalding tea and coffee and our fingers on the handles which are either metal or too thin to grip properly without burning the outside of your fingers. 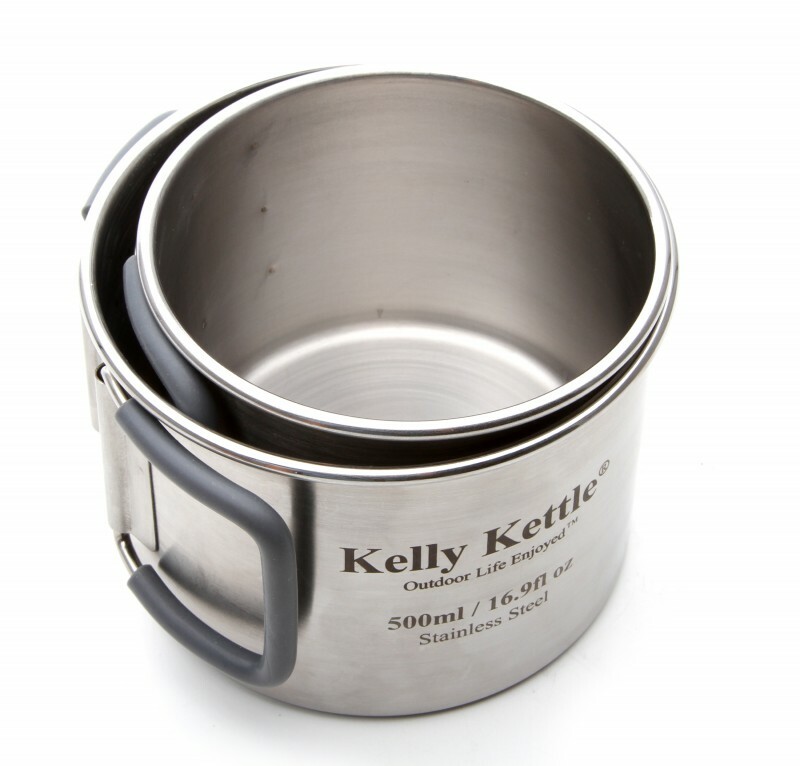 In the time t takes to boil an electric kettle in order to fill your flask, the Kelly Kettle has boiled the amount of water you need. That first cuppa goes down a treat. That second cuppa is cold and only fills half the cup. I actually use the Kelly Kettle now instead of the electric. Over a year, I save more on my electric bill than the Kelly Kettle costs. 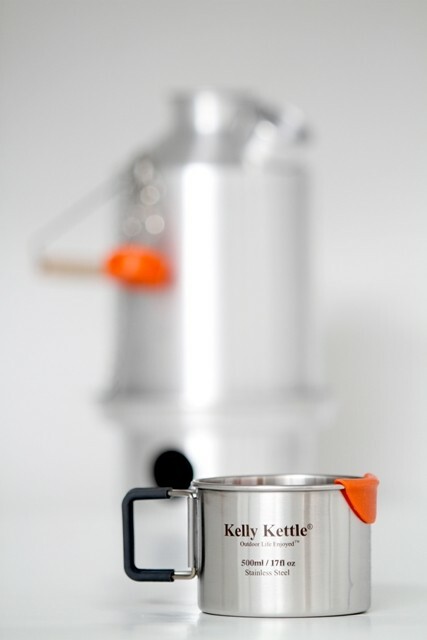 A tip, if you have a wood burning stove, the top is the perfect place to store your Kelly Kettle. If the water is not boiling as the stove may be low, it is much hotter than cold tap water so you can fill your electric with hot water and bring it to the boil very quickly saving money every time. While it has an old fashioned rustic feel to it, objectively, it is a modern no-brainer. It also makes an ideal gift or prize for a fishing / hunting / hiking club as it can easily be engraved. So simple, It has the ultimate "I wish I thought of that" factor!